Part of my Christmas present from Trevor was a night away in Sevilla with one of my very close friends here -- and it did not disappoint! My friend, Nicole and I took the train up to Sevilla early(ish) on a Saturday morning. The train is super easy, about an hour ride. The only difficult part is finding someone to take you to the train station since we live 25 minutes away from the nearest station! The train station in Sevilla isn't super close to the main part of the city, so either take a 5-10€ taxi or walk the 25-30 minutes into town. We chose to walk and grab Spanish breakfast on the way -- aka eating breakfast about 11am which consists of coffee, orange juice (fresh sqeezed) and a tostada (toasted yummy bread with whatever you want on it, but mostly jamon, olive oil and/or crushed tomatoes). 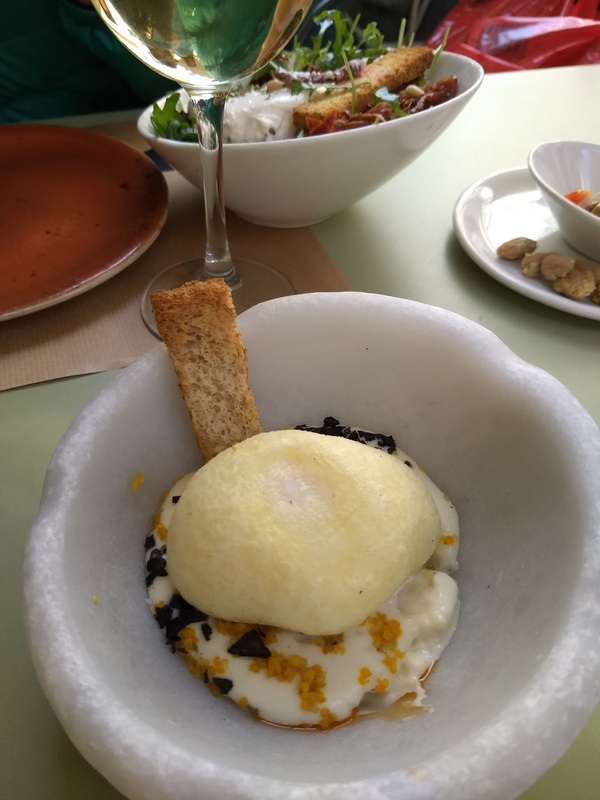 I couldn't tell you where we eat, but it was near the mushrooms (or Metropol Parasol). We then dropped our suitcases off at our hotel -- Hotel Venecia which was seriously such an amazing hotel! Close enough to the main areas (shopping, food, the Cathedral) but far enough that it wasn't loud at night -- and it was a great room and not too expensive. 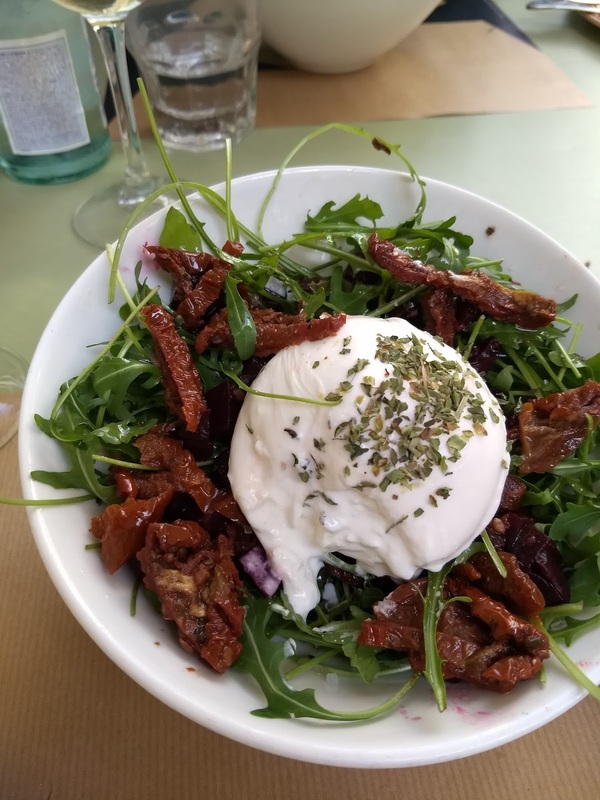 After a full morning of shopping -- mostly at El Corte Ingles and the main shopping streets, we had the most amazing lunch at El Pinton (they did have English menus and a few of the waiters spoke English if needed). 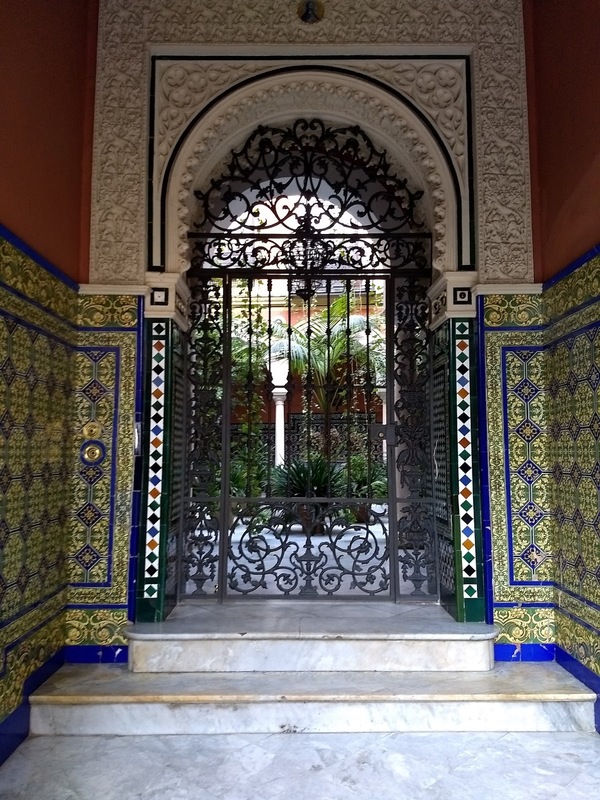 We were kind of in the tourist area of Sevilla but we randomly picked a place and it was seriously amazing. We lucked out and got a table right away but it sure filled up by 2:30pm -- I highly recommend the buffalo mozeralla salad and the tempura battered egg. So so good. 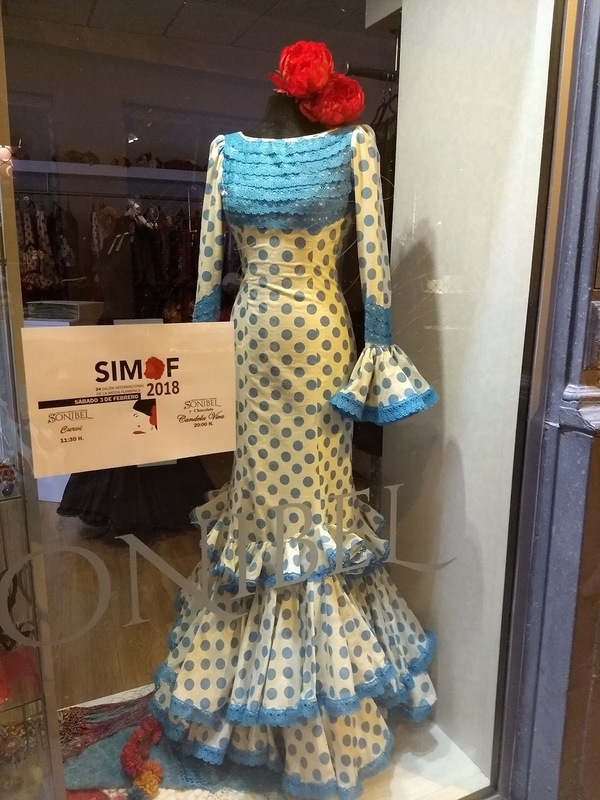 We then wandered around the Santa Cruz area (or barrio de santa cruz) which is so very touristy (it is right near the Cathedral and Alcazar) but so fun -- all the small streets, the orange trees and funky little shops! Also some great places to eat in the area if needed. We made our way back to our hotel for a quick rest and break (but not before snagging some treats at the El Corte Ingles gormet food section!). We had another amazing meal for dinner at Perro Viejo (no English menu and little English spoken by the waiters) -- highly recommend the salmorejo and churrasco de pollo. 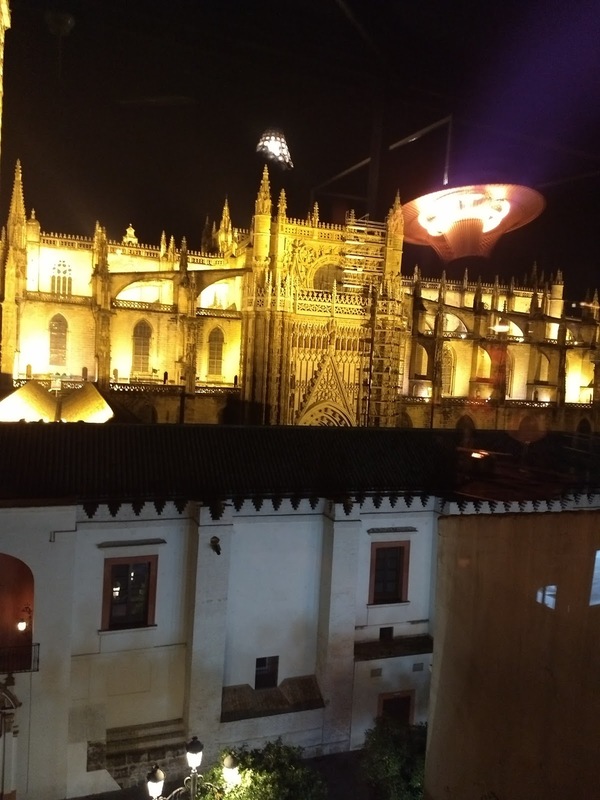 We then bar hopped our way down to the cathedral where we went to the bar at La Terraza de EME. And while the drinks were extremely expensive, the view overlooking the cathedral was worth it and such a fun way to end the day! Then on Sunday we took the train back to our neighboring town -- it was such a wonderful short time away!